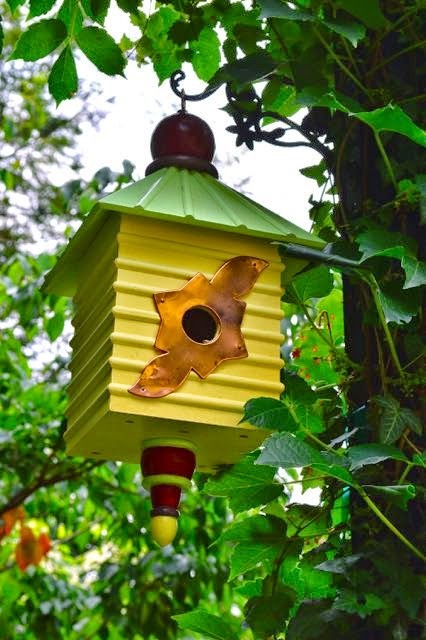 Winter 2015 is for the birds – and so are these nifty birdhouses. That’s just about all I have to say on this record-setting-cold-streak, Almost-Wordless Wednesday. Except: Enjoy! 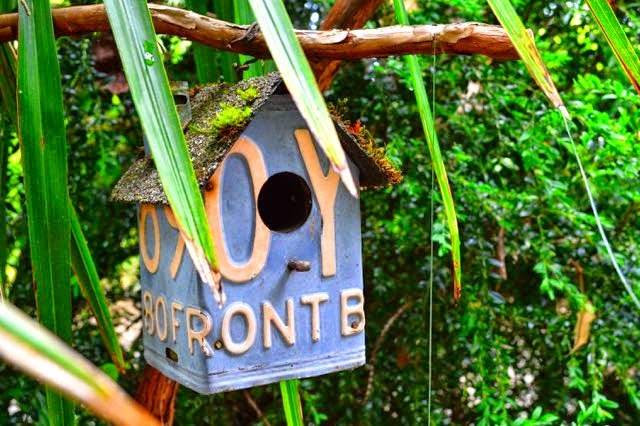 Give your fine feathered friends the licence to move in. This great recycle even looks like the roof is InsulBrick – a good grippy texture for itinerant mosses. Seen at Bella Madrone near Portland OR. Charming Quebecois-style red roof in a Quebec garden. Strangely, it reminds me of a cartoon character. Maybe Pogo. 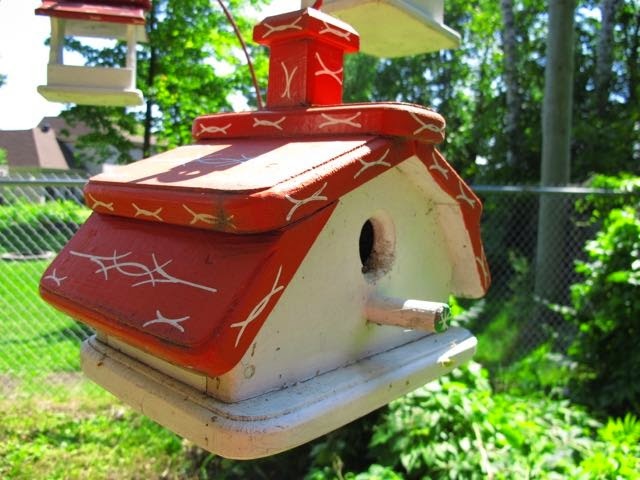 This zigzag bird condo in an east Toronto garden looks like something from Dr. Seuss. I think I like it, Sam I Am. 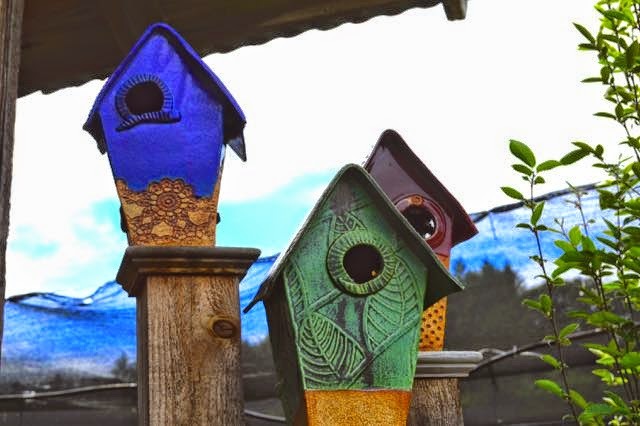 Ceramic birdhouses by Kennedy Creek Pottery were spied at Joy Creek. The green one followed me home. 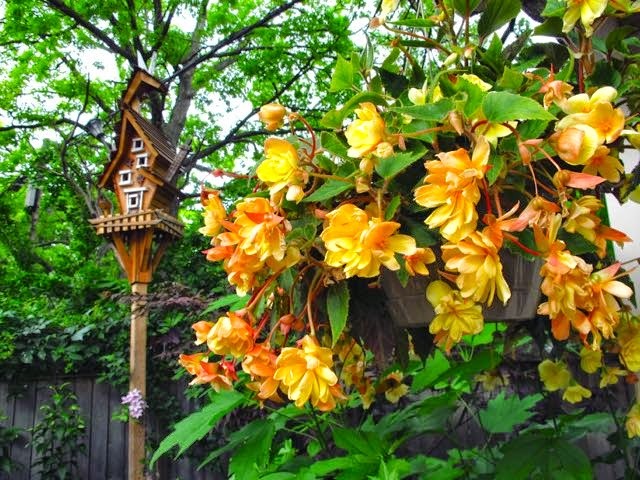 I love birdhouses! What a fun selection. They are both art and function! This is a charming selection of birdhouses. Thanks for the fun! 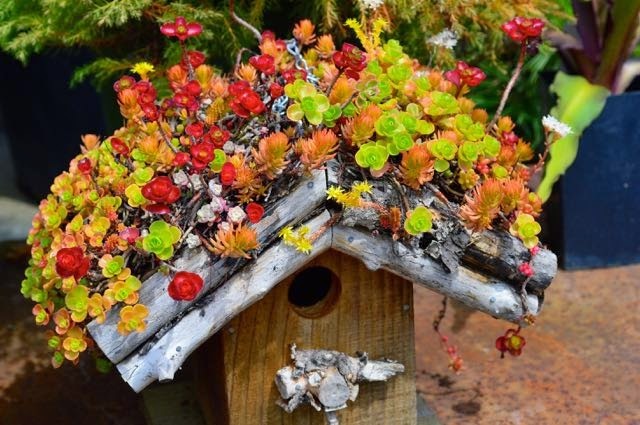 Helen girl I am a birdhouse fan but never thought about creating a "green" roof on one .. now that has really caught my attention ! I'm thinking some of my smaller sedums would be perfect ! They are all gorgeous … I wonder what it is that makes us "gaga" over these tiny perfections? PS .. congrats on your acquisition girl !